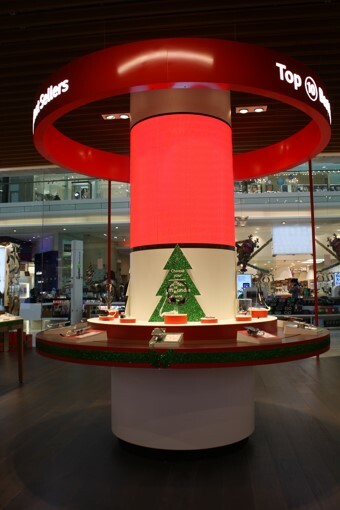 BrightSign and Project Audio Visual delivered a very unusual cylindrical digital signage column at the Westfield Shopping Centre in White City, London. The BrightSign media player allows the content to be altered remotely, making it easy for the client to keep up with seasonal branding changes. BrightSign signage offers HD video quality and a solid state platform that can be used to stream presentations and live TV.